Alice Veglio is considered one of the most prominent beauties in Italy and internationally. At 23 years of age the model has walked down the catwalk at the most important fashion shows and posed all over the world for brands and photographers in prestigious locations such as Paris, Dubai, Rome, Maldives and Qatar just to give some examples. Her face is known for having presented important events broadcasted nationwide in Italy, having appeared in some of the most famous fashion weeks in the world and in numerous advertising campaigns and music videos including that of The Kolors and Shade in 2018. From an early age, Alice started to pose for fashion brands for kids and at the age of 15 she had her model debut in her first fashion show for Vogue. Her CV also includes the role of poster girl for Juventus and Moto GP, until 2014 when she had access to the Miss Italy final, in 2016 won second place at Miss International Model, in 2017 again second at Miss Europe and in the same year Alice won the title of Miss Earth Italy Air in 2017. Very followed on the web, in 2016 she began a career as a blogger and influencer boasting today almost 100,000 followers. Parallel to the world of entertainment and world class modelling, Alice has achieved important successes in studies: Double Italian-French graduation, degree in Holistic health sciences (top of her class) and a second degree in Economics and Business Management, Certification of Personal Trainer, and worked apprenticeships at prestigious United Nations offices (FAO, WGEO) and Dubai government offices. Vogue spose, Giuseppe Fata, Versace, Twin Set, Hussain Harba, Walter Dang, Elisaveta Velikanova, Loredana Messina, OUT, Nike, Freddy, Tin Carena Gioielli, Adelyur Haute Couture, Regina Guasco de Oliveira, ABACI, Denny Rose, Ducati, Yamamay, Notbag Italia, Dana Design, HUDA Negassi, Monica Spravoli, Goldenpoint, Mascaro, Trendy Kiss, Konk, Marotta Aversa Gioielli, Zara, Gianni Tolentino, HUNT, Fabio Porliod, FAD Institute Dubai, Kiani style, Sabeen Kashan, Sharmeenjatoi, Ahloom, Mitushie, Spazio 11 Haute Couture, Alejandro Resta, Amrita Kids, Maximilian, Lorenzo Ferrarotto, IED, Adidas, Maya Charbin, Marco Sartor, Tushimo Eco Fashion, Shamur, Annie Boyland, Roberto Novarese, Patrizia Guccione, Sartoria Colpo, Atelier Guasco, co.Cool, Lucia Berutto, Fllumae, Mak Cun, Chenille, Sacred, Ivan Guerrera, Lucia Russo, Marina Nekhaeva, Elle Ignis, Hind Lafram, Sister From the West by Alia Sonara, Bambah, Natasha Kamal, Al Nisa, Myra Wallace, Nina Demure, Madam Butterfly, Chantique, Mali Rose, Schmiley Mo, Bow Boutique, Ramagaga e Bolandy. Alice Veglio is one of the most requested fashion model in Europe, Asia and United Arab Emirates. She boasts collaborations with stylists and photographer well known globally. Alice Veglio posed for well known worldwide photographers such as: Hamid Kootval (Miami), Viktor Spollen (Messico), Marc Lamey (Parigi), Alfredo Benincasa (Italia – New York- Londra), Raz Moussa (Dubai), Stephen Godenzie (Dubai), Sirio Serughetti (Milano), Juliette Sawyer (Doha), Waqas Nasir (Doha), Maya Charbin (Canada), Tushimo (Germania), Annie Boyland (US), Lucia Berutto (China), Massimiliano Meli (Italia, Montecarlo). Alice Veglio is a certified personal trainer at italian institution CONI and is known on the internet for her influence in the fitness world. Moreover, she posed for prestigious sport brands such as Adidas, Nike and Ducati. Alice has walked the catwalk wearing famous Haute Couture brands designed by worldwide famous stylists such as Vogue, Gianni Tolentino and Walter Dang taking part in some of the best fashion shows in the world. 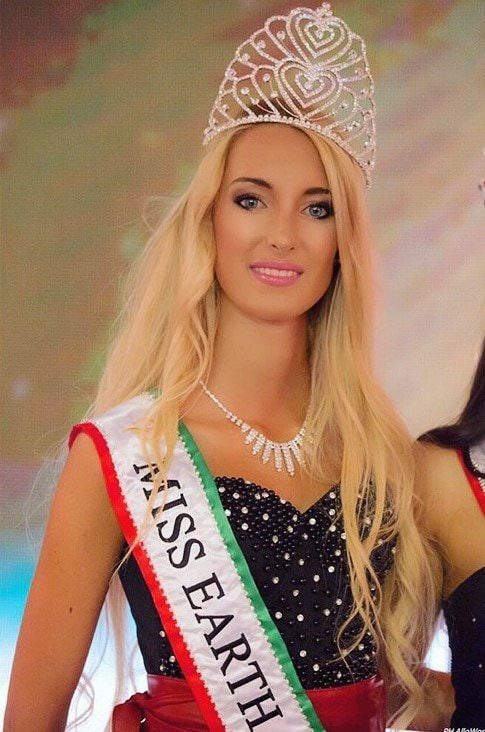 Alice’s debut at Miss Italy in 2014 was a great success with her arrival up to the final round of the contest. 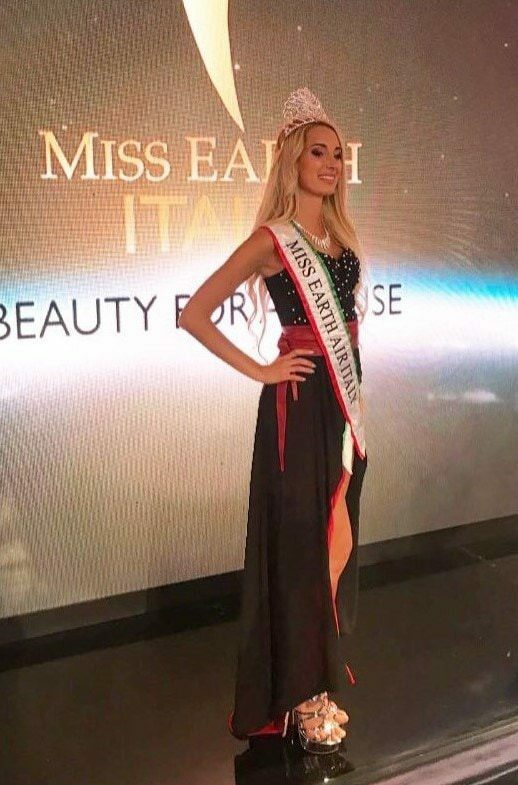 After that, Alice reaches the second place in Miss International Model in 2016, second place again at Miss Europe in 2017 and won the title of Miss Earth Italy Air in 2017. In addition to participating as a competitor, Alice also includes in her CV several appearances in the jury for beauty contests and an important career as a presenter of music festivals and TV shows. From the age of 3 she studied at a prestigious Italian dance academy, boasting today, after 14 years of study, several degrees of participation in internships held by Professors and main dancers of the Teatro della Scala in Milan. She began attending acting and theater classes at the age of 10. Attended numerous courses of stage presence, diction and posture. She is chosen as a presenter at beauty contests, TV shows and events on a national level. Since 2014 she has been the official presenter of the Italian song festival “Incanto Summer Festival” directed by the New Trolls Idol of Vittorio de Scalzi. Alice has presented internationally renowned artists on stage (Giusy Ferreri, Stash Fiordispino, Ivana Spagna, Massimo Bulla, Morena Salvino, Max Pisu, Karima, I Dik Dik, Aldo Tagliapietra, Santino Rocchetti, Marco Aimone, Elisabetta Coraini, Pietro Anastasi, Claudio Batta, Rosanna Russo, Roberto Amade) alongside well-known RAI television hosts such as Alessandro Greco and Savino Zaba. Nagi de Parò, Twin set, Nike , Freddy, Denny Rose, Intimissimi, Zaful, Tapout, Skinny Coffee Club,Tezenis, Yamamay, Notbag Italia, Dana Design, Monica Spravoli, Goldenpoint, Il tuo muesli, Mascaro, Trendy Kiss, Konk, Marotta Aversa Gioielli, Zara, Afrodysia energy drink, Bee bad, HUNT, Handy Mercy, Husk Mill, So Shape, Or Tea, Juice Plus, Adidas, co.Cool, Hind Lafram, Drinksit Lombardia, Extreme makeup, Think & Believe. 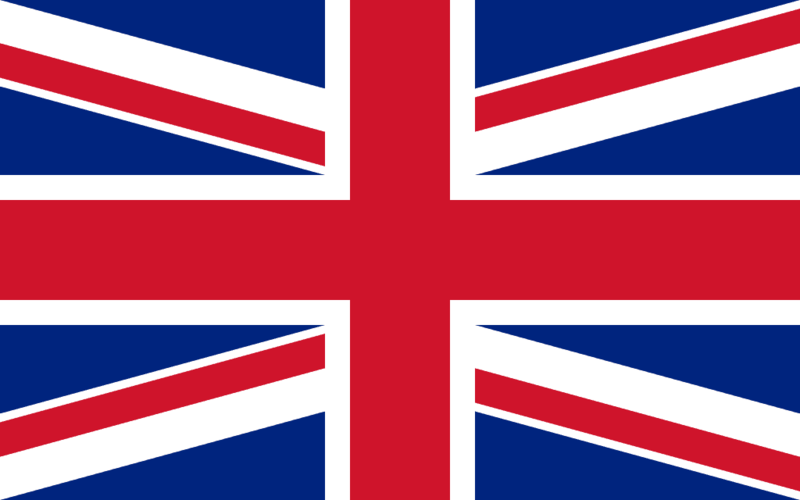 Would you like Alice Veglio to promote your brand?